I'll admit I love all things Lego. 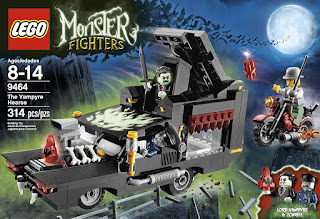 Though for the longest time I was rather stumped as to how I could mix my love for Lego with my love for Transylvania and add it to this blog. It's a big of a challenge, but I finally found some really great ideas. One of them was a build by a Lego lover who would create Bran Castle out of Lego. However, before I found what I was looking for, I did enjoy finding, and it all started with monsters. I was a bit wary of looking at this, after all, I've seen the official lego version of the Vampyre Castle on Amazon, and I'm a fan of it, for different reasons than my newest love of lego and details. 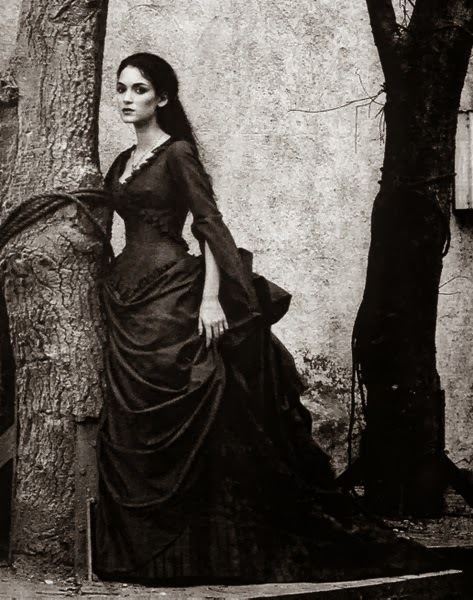 Maybe because it's the focus on Dracula, even with the Vampyre hearse, so it's a bit of a nod to Bram Stocker's Dracula, and it's cute and has enough pieces to enjoy it, and it's part of a series. 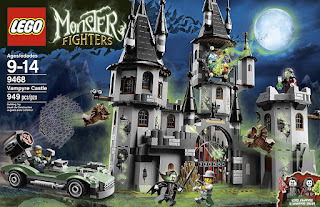 Monster Fighters, as the series is known as gives Dracula his due- in Lego, and combined at around 1,200 pieces I enjoyed the process of making Dracula, and the fighters, and the castle come to life. I enjoyed the challenge and the time it took to make both. 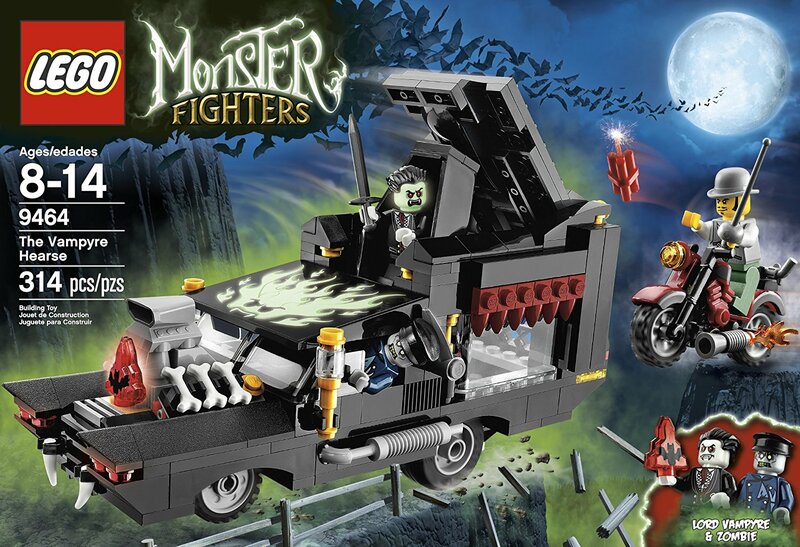 I do recommend both sets, but at least the hearse is a fast one to build and really one that sort of puts two undead monsters together (Zombie and Dracula.) I was a bit disappointed that it was Rodney Rathborne, and not some play on Abraham Van Helsing. However, as much as this was fun to build, it wasn't quite what I had in mind. I enjoyed the mythos they have created, but I wanted something closer to Bran Castle. Closest thing I found often times was the 3D puzzle, and while it was fun to create a model in 3D it wasn't.... Lego. I was able to find that someone had built Bran Castle, along with many photos, and this was amazing to me. You can find the website here, and he has built many other lego castles in great detail as well. 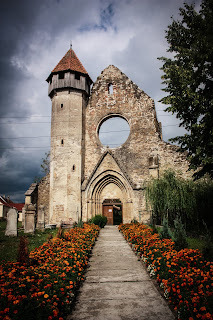 The thing I liked about it was that it combined both the history and the story of Bran Castle. 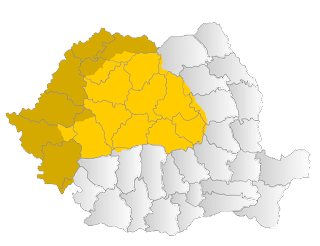 It gave a very good idea about Transylvania, as it showed the hills around the castle, and had parts of the inside of it done in Lego. This was nearly 1,400 pieces and it is quite impressive. It made my lego lover heart feel good, and it almost makes me want to do my own in greater detail. The bonus? On the website he does offer floor plans, so it allows one to let their imagination soar. Ahh, yes Lego and Bran Castle, who could ask for more... except maybe, more details- the villages, and the trees and a few knights.